The following expresses my feelings and concerns about construction and operation of the Pebble Mine in Southeast Alaska and it negative impact on the environment and Bristol Bay ecosystem, spawning sockeye salmon, and the bears of Southeast Alaska. The construction of one of the world’s largest open-pit mines will require the building of significant amounts of supporting infrastructure, including roads, a power plant, pipelines, and a port, and the resulting development would have destructive environmental impacts for hundreds of square miles. 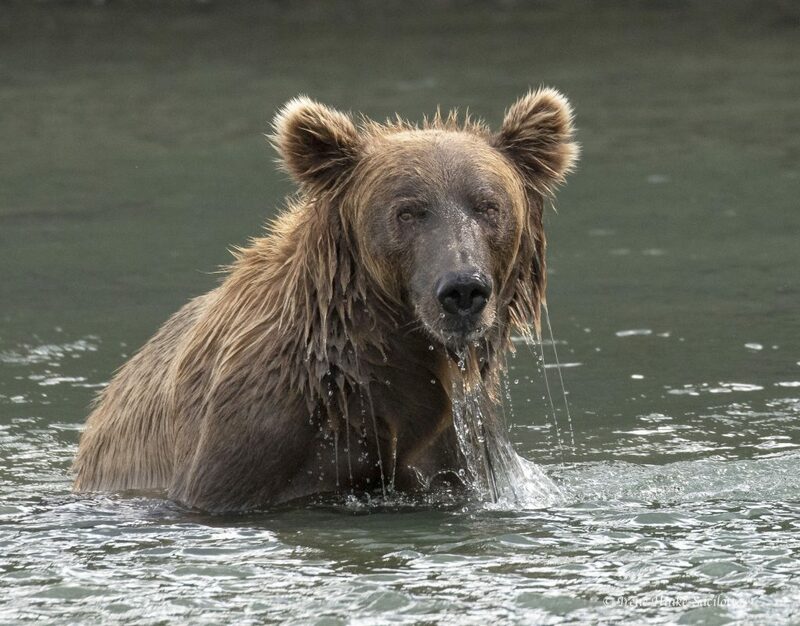 The disturbance of this pristine area including Mc Neil River State Game Sanctuary and Katmai National Park where coastal brown bears gather each year to feed on salmon is distressing. The application submitted to the Army Corps of Engineers includes a deep-water port at Amakdedori beach and road that stretches across prime bear habitat from near Kokhanok, AK to the shoreline. This proposed road comes within a mile of the McNeil River State Game Refuge boundary and the port facility is within sight of a world class bear viewing destination. The activity along the road and associated construction and operation of a deep-water port nearby and mine is bound to have a highly detrimental effect on the bears and other wildlife that live in the area. 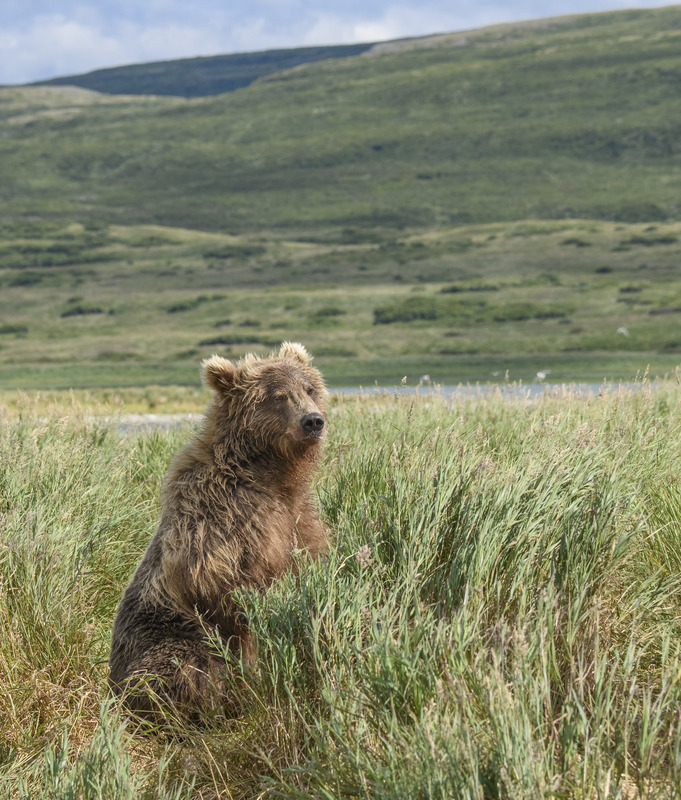 For years the government has exercised great care to protect the bears and provide safe bear-viewing for the public. This includes minimizing negative interactions between the bears and humans by enforcing rules to avoid harmful encounters. Activities around the mine and port will certainly undo these efforts. People from all over the world are attracted to Alaska for the possibility of seeing bears and other wildlife roaming free. They spend millions of dollars in Alaska for the opportunity and contribute billions to the economy of Alaska – food, transportation, lodging, tour guides, park fees, etc. Regarding Mc Neil River, there is no place like it anywhere in the world. I am now 70 and last year I had the privilege of visiting Mc Neil River, after a number of years trying to win the state lottery for the privilege. It was one of the most incredible experiences I have had in my life. I am a professional wildlife photographer and nature photo tour leader. I have been to Africa, Argentina, Iceland, Chile, Newfoundland, the Falkland Islands, Northwest Territory, Churchill Manitoba, Nome, Australia, and New Zealand, so I have been to many premiere natural areas around the world. But I never experienced a thrill like that of sitting quietly photographing and watching the bears feeding on salmon at the lower falls at Mc Neil, feeling unthreatened with some bears walked by only 12 feet away. Brown Bear Standing in grasses near lower falls of Mc Neil River. I was horrified when I found out that the Pebble Mine project may be approved. The largest sockeye salmon run in the world will be disrupted along with the fishery industry in Southeast Alaska. Equally important, bears and other wildlife (bald eagles, killer whales, other marine animals, etc.) will be adversely effected since they depend on the salmon for survival. Removal of groundwater in order to operate the mine will dry up streams, lakes, and wetlands necessary for salmon eggs, young salmon, and their food source to survive. No amount of recycling the water supply after waste water cleanup will return the water and waterways to their original state. The mine with its associated structures is located near a fault, in an area where earth quakes and severe storms with heavy rainfall are possible. Not only will the blasting involved in the mining process disturb wildlife but I question whether it could actually trigger earthquakes. The acid waste from extracting copper and gold from pulverized ore contains cyanide, toxic metals such as lead, selenium, cadmium, and arsenic, and other contaminants can potentially leach into nearby waterways and lakes. Efforts to permanently contain this poisonous waste are destined to fail. 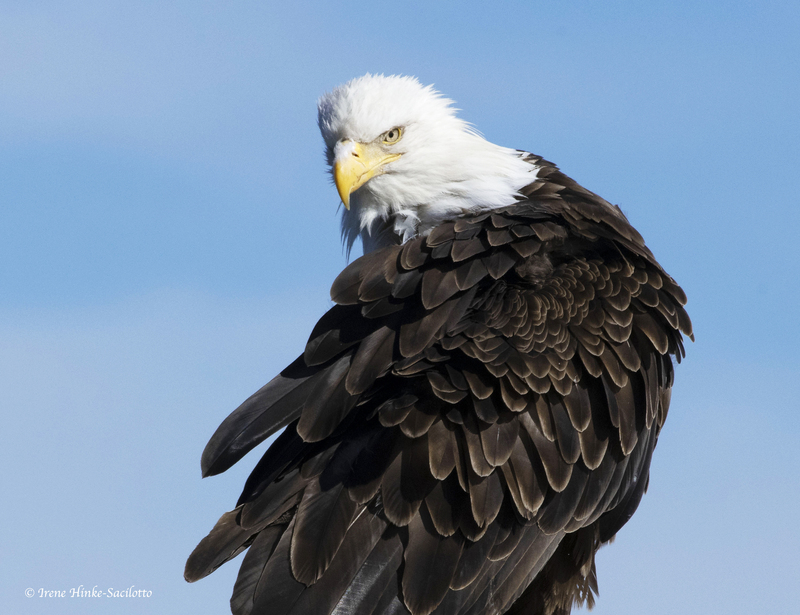 It is not worth damaging Alaska’s natural resources including the fragile Bristol Bay ecosystem and wildlife populations just to benefit developers and foreign investors. Any perceived economic benefit will be offset by the cost of restoration if there is a mishap during the construction or operation of the mine, deep water port, and any associated activities. Remember the Exxon Valdes oil spill, a tragedy thought to be unimaginable. The damage to the environment was catastrophic and the cost of clean-up was in the billions of dollars. The benefit from the construction of the Pebble Mine is not worth the threat to human population nearby and the incredible ecosystem where salmon spawn and bears roam free. This pristine region of Southeast Alaska is unique in the world. In addition, Issuing a permit for the construction of the Pebble Mine will open up other areas in the Bristol Bay region and southeast Alaska to mining which will result in farther degradation of the environment and more threats to wildlife. Coastal Brown Bear feeding in the waters at the lower falls of Mc Neil River. What kind of world to you want to leave for your grandchildren? 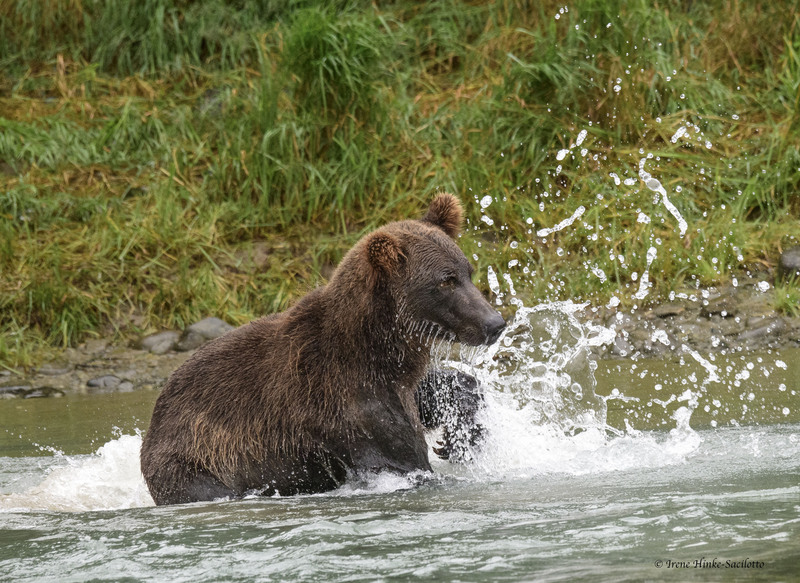 What Makes America Great are places like Mc Neil River State Game Sanctuary where in July as many as 80 brown bears gather to feed on salmon, where millions of sockeye salmon spawn, and where wildlife thrives on the land and in the waters of Bristol Bay. I believe that the Pebble Mine Draft Environmental Impact Statement should be resubmitted and replaced with one that is more comprehensive and backed by data that can validated. This project is huge with many ramifications and the potential of having far-reaching negative on the environmental and the delicate ecosystem of Bristol Bay. That which it will destroy, cannot be replaced. See my previous blog on Mc Neil River State Game Sanctuary and Coastal Brown Bears. 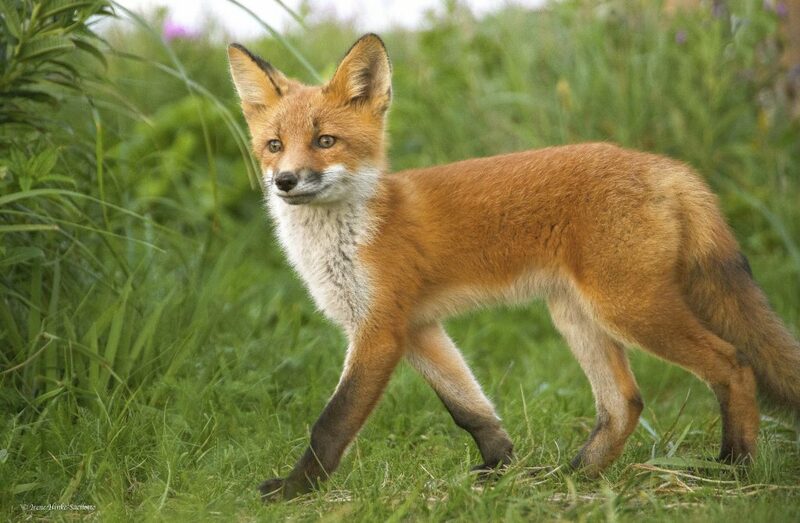 Young red fox in Southeast Alaska. For more info and links on the Pebble Mine and where you can comment to the Corp of Engineers regarding the project. 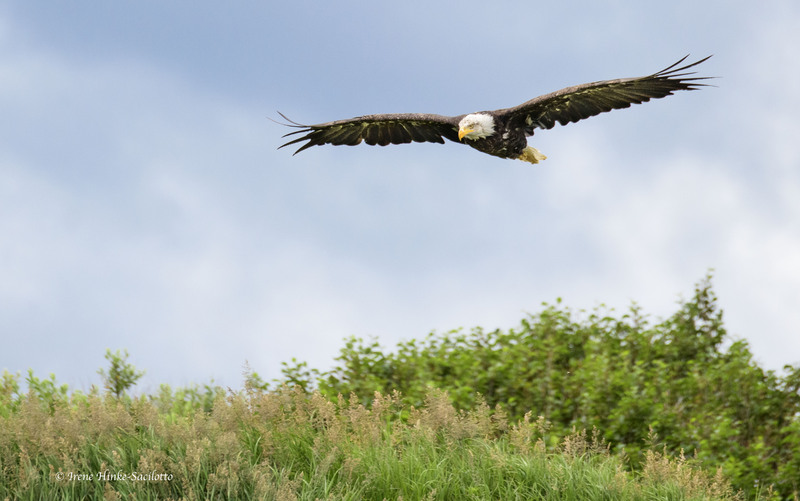 Bald Eagle flying over cliff at Mc Neil River State Game Sanctuary. The post Pebble Mine and Its Negative Environmental Impact appeared first on Osprey Photo Workshops and Tours.